RUSH: Now, I was reading the sound bite roster today, and there’s a couple sound bites here. One is from Charlie Cook of the Cook Report. 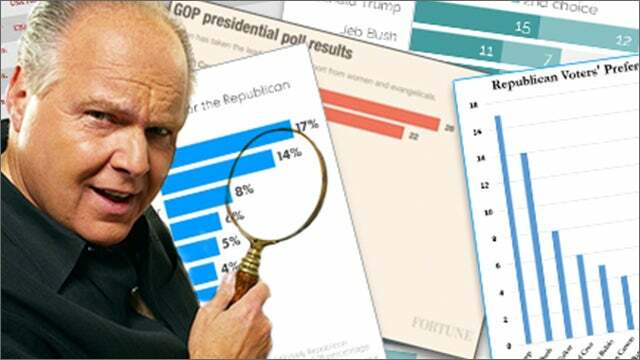 Charlie Cook has a great reputation for political prognostications, polling, polling analysis, predicting election outcomes and so forth. Highly respected inside the Beltway. And Frank Luntz, ditto, he runs focus groups, and both these guys are highly reputed. And there are sound bites here where both of them think the election in 2018’s over. The midterms. It’s over, and the Republicans are gonna get skunked like nobody’s been skunked in the midterms. It’s over. Let’s listen to Charlie Cook first. He was on Meet the Press yesterday. COOK: Other than the Senate map, which states are up, I can’t see anything good for Republicans this year, nothing, whether it’s the kids and the gun issue or whether it’s the teachers and parents that are uprising, there’s a lot of bad, bad — if I were a Republican, I’d be — I’d be nauseous right now, with what’s coming up. RUSH: Many of them probably are. Here’s Luntz. Luntz was on Howard Kurtz’s media show yesterday morning on the Fox News Channel. LUNTZ: Let’s go on record. I think the Republicans are in deep trouble in the House and the Senate as well. If the election were held today, frankly, I think Republicans would lose both. And if Donald Trump wants to keep a Republican Congress, he has to differentiate when he’s attacking Congress in general versus the Republicans in Congress. Differentiate when he’s attacking the press versus when he feels he’s not getting a fair shake. Can anybody tell me what the polling data was six weeks before the election? Hillary was leading? Well, the answer, Hillary was leading in every damn one of them. Never was never leading in any presidential polls. But nobody can tell me the exact numbers. So what does it matter? What does a poll today mean? Nobody’s voting today, nobody’s voting tomorrow, nobody’s voting next week. I’ve always thought that judging the outcome of elections months down the road with polling data that early is specious. It’s idiocy, actually. What was the polling data in, say, August 2017, and then what was the polling data when the Access Hollywood video was released? And in polling before the Access Hollywood video was released, did anybody know the Access Hollywood video was gonna be released so that it could be factored into what those polls would be when — Well, hell, no, nobody knew it was coming until it came. Then the polls that were taken after the Access Hollywood video was released kind of rendered every poll prior to it as meaningless and irrelevant, right? This has long bothered me. It’s bothered me in the sense that so many people in the media and in politics in general use these polls to actually make policy or to make decisions on campaigns and elections, and it’s just senseless to me. Because they don’t tell us anything. And I have long believed — let me just put it this way. I don’t think that the events that are gonna shape the election in November have even happened yet. And you know what? I am right, and there’s not a single person that can disagree with me. We don’t know what’s gonna happen, but all kinds of things are gonna happen. We don’t know what they are, and we don’t know anything about them, and we certainly have no idea, since we don’t know what they are, what their impact is gonna be on any aspect of the election, on turnout, on the vote, we don’t know anything. And so polling data today might tell you what would happen if the election were today, but the election isn’t today, and people are not in that frame of mind. People aren’t gonna be voting tomorrow, so they’re not even thinking the same way they’ll be thinking a week or few days before the election when the pollster talks to them. There’s literally nothing in common here in polling data. But yet look at how many people have written it off already! The Republicans are already smoked. In fact, we may as well not even have the election, because Charlie Cook and Frank Luntz have said the Republicans don’t have a prayer. (interruption) What about the generic ballot? Okay, the generic ballot, ballot with no names, just party preference, look at how that changes depending on things in the news. I also do not believe that people’s voting decisions are a roller coaster like the polls are. There’s not a single poll that’s gonna change the way I vote, my friends, and I don’t know how many of you are in that boat, either. How many of you, your vote is up for grabs based on the latest poll, based on what other people think? You people in this audience, I know have your own minds, you do your own thinking, and you’re not subject to that kind of peer pressure. A lot of people are. But this is the kind of stuff that ends up negatively impacting the way people think, the way they react. If an election is already over because there’s so much hatred for Trump, then why are Republicans even gonna run for office? Rick Scott, the governor of Florida said he’s gonna seek the Senate seat held by Ben Nelson. Why, if he doesn’t have a chance? Luntz and Cook don’t give him a chance in hell. Why is he gonna waste the time and money? Why doesn’t he just punt, play golf or do something? But they do run, don’t they? And they all try to win, despite the brilliant pollsters and everybody telling them it’s a lost cause. RUSH: I want to read something to you from Bloomberg News on November 8th of 2016. 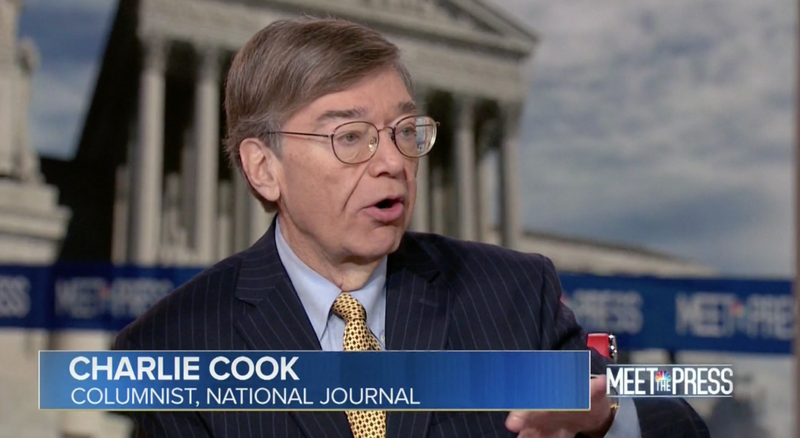 “Clinton Win, Democratic Senate Seen by Analyst Charlie Cook,” whose sound bite we just played saying if he were a Republican, he’d be really nauseous right now ’cause it looks like it’s curtains. Frank Luntz on Twitter November 8, 2016: “Hillary Clinton will be the next president of the United States.” Despite being wrong, repeatedly so, they are continually turned to and asked for the results of their research and analysis, and they were wrong. I mean, they were proud. They were loudly, confidently wrong. 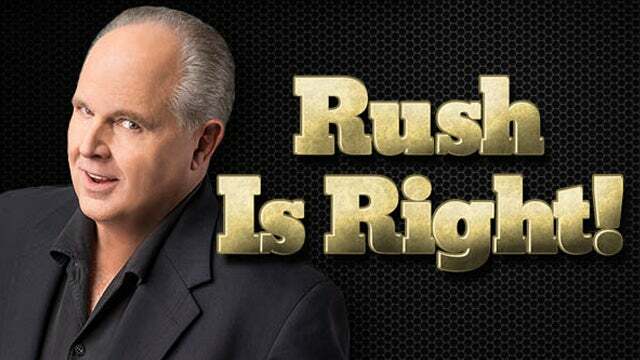 RUSH: So somebody sent me an email during the break, “You know, Rush, you’re right. A lot of these people, not just Luntz and Cook, but a lot of these people, they’re wrong, these analysts every, they end up being wrong on a lot of things. Why do they keep being invited back?” Being right or wrong is really not the objective of having TV experts on TV. Being right or wrong is obviously of little consequence, little matter. TV chat shows and panels on newscasts are formulaic. And remember, they’re run by liberals. The media, the mainstream media is run by leftists. I still don’t understand why so many of our people go on ’em. I guess it’s the only way they think they’re gonna get mainstream exposure. But, anyway, the value, as far as the mainstream media is concerned, is somebody like Luntz on TV all before the election saying Trump doesn’t have a prayer. The purpose is to depress Trump voters, to depress Trump turnout. I’m not saying Luntz is playing along with it. Don’t misunderstand. Don’t anybody start tweeting Luntz and saying that I’m saying something I’m not here. But as a general rule, TV expertise, there isn’t any such thing because people that are wrong all the time are brought back as ongoing experts. But how can an expert be so wrong? But in the media, they’re always wrong. Every unemployment story, every economic story contains somewhere in the story a reference to experts being surprised by what happened. They’re either surprised the stock market went up. They’re either surprised jobs went down or up. If they’re experts, why are they surprised? If they’re experts, why don’t they know? If they’re experts who are always wrong, why do they continue to be hired or quoted or brought back? Because their value is not in being right or wrong. Their value is in projecting and advancing the agenda of the, quote, unquote, media or the establishment or what have you. Charlie Cook and Frank Luntz have incredible value. For example, all during 2016 claiming Trump didn’t have a prayer and the Republicans are gonna get wiped out. That’s what the news media wanted reported. What better way to have that reported than bring in a bunch of, quote, unquote, experts to say it. And once the experts have said it, after being introduced as experts, why, the influential aspects of their comments are considered to be incredible. The experts are saying Trump doesn’t have a prayer. The Drive-Bys don’t even have to say it themselves as long as they can have the experts say. 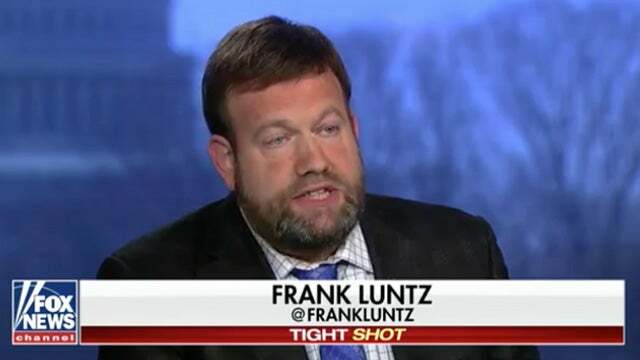 Now, I’m not saying — again, I’m not saying the Drive-Bys get together with Luntz and say, “Frank, I want you to tailor the outcome here so it says X.” If Luntz has a focus group that says something the opposite, it will be on Fox. And occasionally — you know, it’s not uniform — the experts will occasionally be right. Otherwise people would totally raise hell. But the vast majority of the time it is of no consequence, because the value is not conclusive expertise or evidence. The value is the prediction of doom, of despair, of making the left feel good. That’s as much a part of it as making you feel rotten.